Holla! Glad you are here!! Sorry the post is going up so late. All I can say is it’s summer and the kids are outta school so the routine has basically been kicked to the curb. Expect delays with the weekly link party all summer. Maybe come September I’ll have it up by around 9pm again. !! Any projects I feature will be pinned on My Pinterest Board for everyone to see! Follow me on Pinterest to get in on the pinning action. Life on Maple made her own fleece rugs that are so friggin’ cool! And I love that table and chairs in the background as well. The Crafted Sparrow is a genius. She found boring wooden earrings at a dollar store and painted them. So cool! If you don’t know by now, Lizy B is an amazingly talented cookie decorator. In this post she shares how to make perfect lettering on all your confections. Beer Budget Decor redid her dresser into this retro fab piece. Super fun! And be honest, those gold antlers make the room, AmIRight?!!! Mom on Timeout has a great summer reading program on her blog. 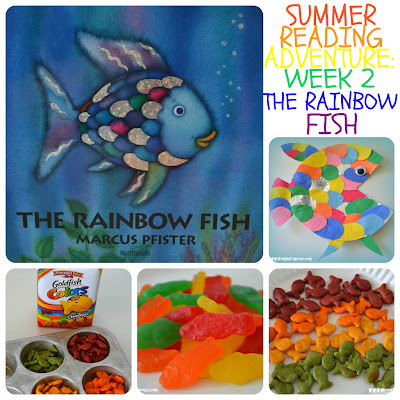 In this post she shares several really fun activities to do with your youngin’s based on the book Rainbow Fish. 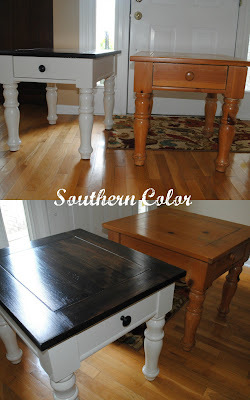 I’m so inspired by this side table makeover from Southern Color. I have a similar table and now I know how amazing it will look if I refinish it! Southern Lovely is a girl after my own heart. 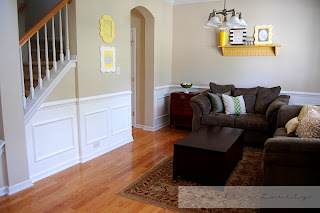 She just added trim and moulding to her family room and it looks amazing. Having a par-tay? Need some festive pom poms? 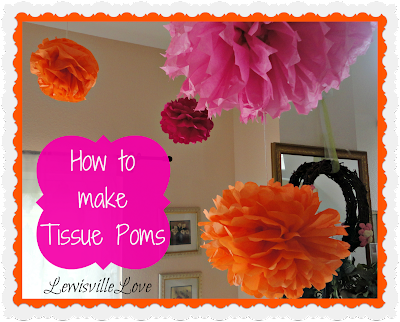 Lewisville Love shows how to easily make them yourself for super duper cheap. A Girl and a Brush refinished this chair and it just looks so pretty and classic. Great work. Be still my heart. Decor Niche redid her staircase and I have serious staircase envy right now. I so want to do this! The Seasoned Homemaker is apparently seasoned at sewing! 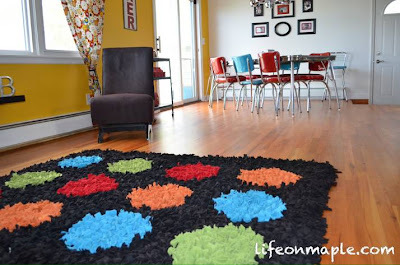 She gives one of the best step-by-step posts for DIYing your own piping and then shows how to add it to your pillows. A must read! I really love this DIY wooden frame behind the huge family canvas. The Velvet Door made it herself and shares how you can easily make one for yourself as well. Thanks so much for hosting. Love this weeks features! Oh my Goodness! Thank you, thank you, thank you for the feature! I was so surprised. Thanks for the parTAY chicka!!! Great features – that staircase is fabulous! Great features! As always thanks for hosting. It was so nice meeting you at Haven last week! Great features, and thanks for hosting!! Good morning! I’ve been thinking about you and your car accident. How scary is that?! I am so thankful that God kept you safe. Are you guys recovering alright? Well, it’s summertime and, oh-so-hot here in Oklahoma. I have been experimenting with cold drinks and came up with an alternative to one of my favorites-a Skinny Orange Julius (# 67 ). All the yumminess without sugar! Thanks for hosting the party and have a great or at least good day! Thank you for hosting, Allison! I hear you on the craziness of summer! Here’s to enjoying it – and a little lateness for the party! Thanks for hosting! Great features this week! I always love to see what you feature; there are some super talented ladies linking up out there! 🙂 Happy Thursday! Thank you for hosting such a lovely party filled with inspiration! Love checking out all the fun talent on Thursdays! Thank you so much for featuring my cookie tutorial!!! I hope it inspires a lot of people!!! Thanks for hosting. I hope you and your family have a great 4th of July Holiday! Thanks for hosting again this week! I adore that dresser! Thanks for hosting, Allison. I hope you stay cool this weekend. LOVE your features this week! Thanks for hosting! Have a great weekend! 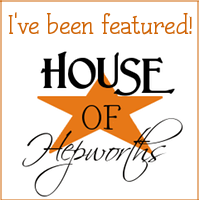 Hi Allison, What a nice surprise – thank you for featuring my refinished staircase and the very nice comments!!! 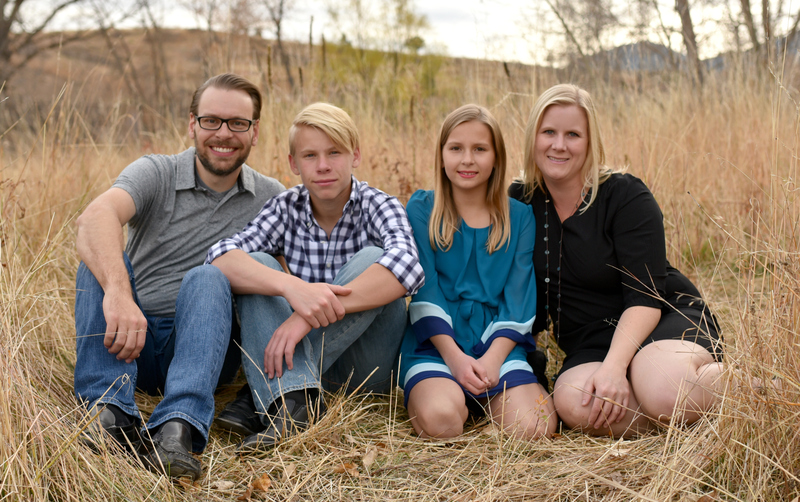 You are the hostess – and we are the gracious guests so don’t stress about a schedule – enjoy the summer with your children (they grow up way too fast). Thank you, again and have a great week. Enjoy!!! Wow! What talent. I am blown away by the oak end table makeover. I have a perfectly good oak table that I’m tired of, but it’s solid and sturdy. Now my wheels are turning! Great stuff. Thanks for hosting and have a great weekend. I’m a little late to the party, but wanted to link up. Thanks so much for hosting! !